A case study for a collaborative programming system. 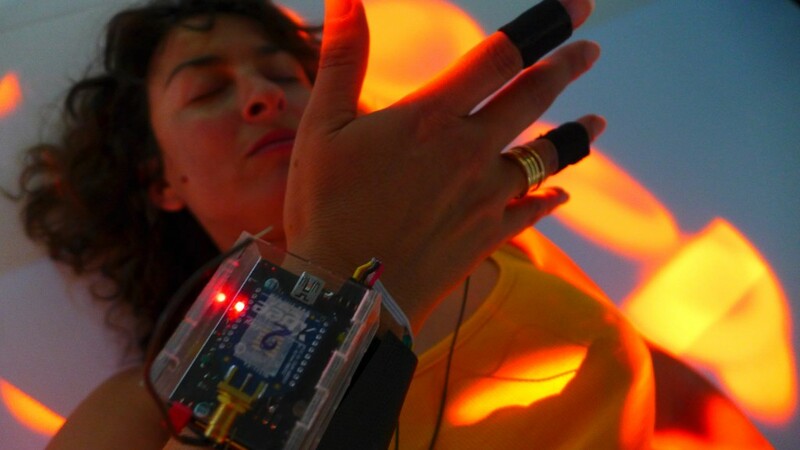 A digital and sensory artistic game using free technologies, sensors, sensations, emotional states, patches and soundscapes. For the reation of UKI -Enter the Bionet, APO33 accompanied Shu Lea Cheang on the technical as well as artistic realisation of the project. We helped the artist build the sensors and the software interfaces to manipulate sounds, video and viruses (3D) through the emotional feelings of the participants. During a week, Shu Lea Cheang and Apo33’s artists and programmers worked in the form of research and development sessions, accompanied by arts students from l’ecole des beaux arts, Nantes. They were able to discover new forms of digital creation but also 3D printing for the development of sensors used in the production.